Your characters must not be automatons. Your reader must buy into them as real people with real goals, real motivations, real relationships, and real emotions. They must have flaws as well as virtues. They must face internal struggles and external conflict. They must have past lives and prior relationships. Use the tips below to individualize each of your characters. The traits you assign don’t have to be sensational. They can be small, even subtle, qualities. Your goal is to make each character a believable individual, not an incredible eccentric (unless, of course, you want him to be). Give each character a unique set of physical traits. These don’t have to be scars and tattoos, the obvious choices for truly unique identifiers. Furthermore, these traits need not be unique among all humanity, just unique within the context of your story. If you choose traits that are extraordinary, account for them in a credible way through the character’s background. Give each character a unique style of speech. Each character should have a unique combination of dialect and vocabulary, based upon his personality, level of education, and upbringing. Make your characters’ speech rhythms different enough that if a line of dialogue written for one character were attributed to another, that line would sound out of place. Give each character a flaw that the reader can understand. If you make your hero perfect, she won’t be credible. Even if you manage to make her believable without building in a flaw or two, your reader won’t be able to relate to her. Write about ordinary people in extraordinary circumstances. Your hero’s flaws often provide a source of internal conflict overlaid upon the external struggle provoked by the villain. Ratchet up the tension in every scene by exploiting your character’s flaws to make her trials more difficult. Give each character a special skill. Special skills let your reader see into some aspect of life, some hobby or profession, that he might find interesting. Introduce your character’s skill early in the story, well before she needs it. Otherwise it will seem contrived—an afterthought you invented to get her out of whatever fix you put her into. Present your character’s skill at a technical level your reader can understand, and provide only information that is directly relevant to the events at hand. Give each character a definable personality. Is your character optimistic? Pessimistic? Grumpy? Funny? Flirtatious? Adversarial? What does she get fired up about? The environment? Animal rights? Poverty? Duty? Family? Honor? Love? Hatred? Vengeance? Let’s face it, without a definable personality and a passion for something, your character (your hero in particular) will be boring. Give each character an identifying line, mannerism, or prop. Give your reader something to associate with your character besides a name. Establish identifiers early, preferably the first time you introduce the character. Exhibit the identifiers every time the character appears in a scene. This is particularly important for your hero. Generally speaking, the reader must like her. No matter how many internal demons your hero has to overcome, she must have at least one redeeming quality that your reader can latch onto and that makes him say, “I care. I hope she overcomes it all because she’s worth saving.” Give virtues to your other characters as well, including your villain. The villain rarely considers himself to be the bad guy. Whatever he does, he does for a reason. Sometimes it’s just for personal gain. Often, he believes he’s working toward some greater good, however warped that perception might be. You must know the details of your hero’s backstory in far greater depth than you’ll ever reveal in the pages of your novel. Your character’s past has made him the person he is today. His past will determine his emotions, attitudes, and actions. And it will justify them to the reader. His past will make him real. Know how each character will change throughout the story. The change your character makes, and the way that change comes about, is the character’s arc. Provide an arc for each major character, not just the hero, but make the hero’s arc dominant in the story. 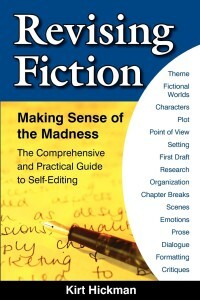 *See also Nancy Kress, Characters, Emotion & Viewpoint from Writer’s Digest Books (2005). This article was originally published in the July 2009 issue of SouthWest Sage and is reprinted here by permission of the author.